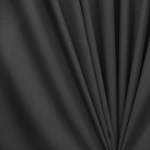 We offer individual pipe and drape panels in Banjo, Premier, Velour, Commando, Sheer Voile, and Economy Non-Flame-Retardant fabrics...from 3 feet tall to however tall you need! Banjo drapes (available in 17 colors) have a sheen and feature an open weave. The fabric is Inherently Flame Retardant (IFR) and is most popular for conventions and trade shows where flame resistant fabrics are required. Each Banjo drape panel is approximately 48" wide. Premier drapes (available in 12 colors) are a more upscale looking fabric choice, used most commonly as school, business, banquet hall, and church curtains – and they’re INHERENTLY FLAME RETARDANT! Each panel is about 60" wide. Commando drapes (available in Black) are great for economical privacy drapes, blocking out 99% of light when backlit. This 16 oz. Cotton fabric is commonly used for dressing rooms or in cases where the fabric must not be see-through. The feel is similar to suede. Each Commando drape panel is approximately 52" wide. 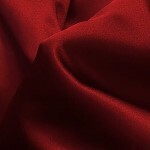 Velour drapes are 100% Inherently Flame Retardant (IFR) Polyester. 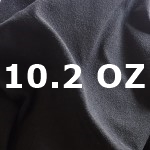 Used mainly for VIP events and theatrical performances, we offer a variety of Velour options: 10 oz. Velour give a fancier look at an affordable price! 15.5 oz. Velour is 60 inches wide and 90% opaque. IFR and machine washable. 24.5 oz. Velour takes it a step further by offering 99% opacity in this 60-inch-wide fabric, and the heavier weight drape helps with sound absorption. 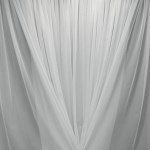 Sheer Voile drapes are great for uplighting, plus 100% Polyester, IFR, and machine washable. Each panel is a super wide 118", which helps make this an increasingly popular drape option for weddings! Poly Satin individual pipe and drape panels have a beautiful glossy sheen. 100% Poly, FR, and machine washable. Each panel is a 58" wide, and for a lighter weight fabric, it still blocks about 80% of light! Economy Non-FR drapes are a great value for those who do not require fire resistant fabric. Get a professional look with our individual pipe and drape panels at do-it-yourself prices! Whether you need everyday durable drapes (Premier), theatrical drapes (Velour), light-blocking dressing room drapes (Commando), drapes for lighting applications (Sheer Voile), convention and trade center drapes (Banjo), or budget friendly drapes (Economy Non-FR) let PipeAndDrapeOnline.com be your choice for the best prices and highest quality. 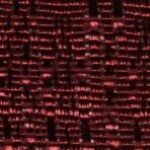 If you need a drape material that isn't listed above, contact us and we'd be happy to help.